During a floating lantern festival, people release paper lanterns which are believed to house the souls of the deceased to a river or the sea in order to mourn for the deceased. The magical and heartrending sight of countless lights being reflected on the water surface in the darkness can bring anyone to tears. The amount of lanterns being released in the clean river, floating toward the other side, by the people during the festival reflects just how many farewells take place between humans and the souls of their beloved ones. 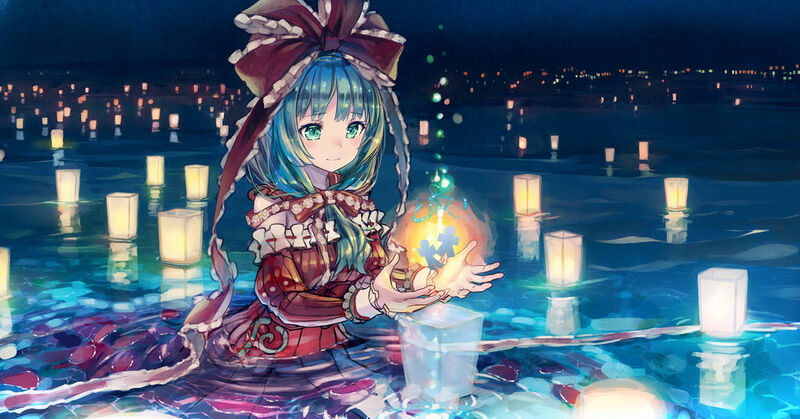 This time, we're featuring heartrending illustrations of floating lantern festivals. Enjoy!